The TV ratings dispute continues. A new development in the TV ratings scandal transpired yesterday, March 7, when the Quezon City Regional Trial Court (QC RTC) junked the petition of GMA-7 to stop rival network ABS-CBN from airing reports about the alleged TV ratings manipulation, which supposedly cast "dishonor, discredit, and disrepute" to the Kapuso network. In his ruling, Judge Alexander Balut denied GMA Network's petition for preliminary injunction on three grounds: GMA-7's petition to stop ABS-CBN's supposedly libelous reports comes too late—the reports have already been aired; GMA-7's petition for injunction goes beyond the prayer contained in its complaint; and GMA-7's petition for injunction constitutes prior restraint of freedom of expression and, therefore, is unconstitutional. Judge Balut also stated in his ruling that since ABS-CBN had already aired its reports, there is nothing for the court to stop. "It is clear that plaintiff's causes of action are based on acts that were already consummated. Having already been committed, these acts can no longer be enjoined. Simply stated, there is actually nothing to enjoin," wrote the judge in his ruling. Judge Balut also ruled that it "appears" as though GMA-7 "seeks to enjoin acts beyond the prayer in the complaint", adding that "[this] cannot be done. It is anathema to an existing jurisprudence on the matter." The judge also said that the court can't grant the petition for preliminary injunction because it would violate the Constitutional guarantee of freedom of expression. "To issue the writ of preliminary injunction in this case would be to impermissibly interfere defendants' freedom of expression. It would be constitutive of a previous restraint or censorship, which no less than the Constitution abhors," Judge Inting wrote. Judge Balut added that GMA-7 failed to lay down enough justifiable grounds to warrant prior restraint of ABS-CBN's reports. "Applying one of the tests, i.e., The Clear and Present Danger Rule, the Court finds that plaintiff failed to lay down factual bases constituting a clear and present danger that would justify prior restraint. In fact, the bone of contention is purely civil in nature, such that the "substantive evil" which the State has the ultimate right to prevent is wanting." OTHER OPTIONS. But Judge Balut also wrote in his decision that GMA-7 may still avail of other legal remedies outside of a preliminary injunction, like filing libel cases, if it feels that it has been wronged by past or future reports aired by ABS-CBN. "If it believed defendants' acts are contemptuous or obstructive of a free and fair hearing on the case, plaintiff has other remedies provided under the Rules of Court," wrote the judge. "Needless to state, pending the trial of this case on its merits, free expression must not be used as an instrument to perpetrate unlawful ends to the obstruction of the administration of justice." 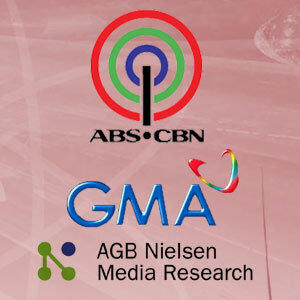 It can be recalled that GMA-7, in its petition to the court, claimed that ABS-CBN made it appear through its news reports on the alleged TV ratings manipulation that the Kapuso network is "a fraudster and manipulator of the ratings in Bacolod City by deliberately twisting and distorting the statement of Ms. Reformina, the general manager of AGB Nielsen..."
GMA-7 also complained that ABS-CBN's reports on the scandal were "orchestrated and/or scripted and intentionally perpetrated to defame, impeach and besmirch the reputation of plaintiff GMA 7." THIRD JUDGE. Judge Balut is actually the third judge to hear the P15-million libel case filed by GMA-7 against ABS-CBN. The first judge, Judge Samuel Gaerlan, inhibited himself following a motion for his inhibition by ABS-CBN. Gaerlan had earlier admitted that a member of ABS-CBN's legal department is his cousin. Judge Henri Jean Paul Inting was the second judge to hear the case, but he also inhibited himself following a motion filed by ABS-CBN. Judge Inting had earlier granted a petition for a temporary restraining order filed by GMA-7 against ABS-CBN's airing of reports about the TV ratings controversy. In return, ABS-CBN filed a petition for certiorari before the Court of Appeals to stop the implementation of the TRO. ABS-CBN insisted that "the issue of corruption as brought out by the discovery of the TV ratings manipulation is a matter of clear public interest, and therefore needs to be reported on." The Kapamilya Network also argued that the TRO "grants GMA Network a virtual immunity from accusation." It added that no person or entity has ever enjoyed such a privilege, not even the highest public officers of the land. Judge Inting explained that he is following "the Supreme Court ruling that at the very first sign of lack of faith and trust in his actions, whether well-grounded or not, the judge has no other alternative but to inhibit himself from the case." GMA-7 REACTS. Meanwhile, in an official statement, GMA-7 said that they would pursue their libel case against ABS-CBN despite Judge Balut's denial of its petition. According to the Kapuso network, Judge Balut based his ruling partly on evidence that Inting had earlier dismissed. "Current Judge Balut allowed what the previous judge found irrelevant—and that was to allow more testimonies from other ABS-CBN informants. In the hearing before Judge Balut, these ABS-CBN informants admitted they had no proof of employment with GMA, no ID, no contracts," said GMA Network's statement. Reacting to the court's ruling, GMA network legal counsel Gener Asuncion said that, "Freedom of expression does not mean they (ABS-CBN) have the right to destroy another's reputation. An abuse of freedom also destroys it." In the statement, GMA-7 also said that it would continue efforts to stop ABS-CBN from airing its reports. "This is not the end of the libel suit. ABS-CBN wanted the end of the TRO and they wanted to block the injuction because ABS-CBN wanted to continue atacking the reputation of GMA Network. We will try not to let them do this," vowed GMA-7.